Product description: We created our first Firestone Lager in 2000, and it proved to be well ahead of its time. Now it’s back, new and improved, for those who finally want a better lager. In a craft world dominated by hoppy beers, we have gone back to basics with Firestone Lager. This is our hardest beer to make–and our easiest one to drink. Made in the classic all-malt Munich Helles style, Firestone Lager demands technical perfection from our brewing team, with a transparent canvas that would otherwise reveal the smallest flaw. Gambrinus pilsner malt establishes a crisp, dry base with a soft mouthfeel, while noble German hops provide just a whisper of bitterness. The result is an impossibly smooth and immensely drinkable beer that aims to help redefine American Lager. In the words of Brewmaster Matt Brynildson, “Firestone Lager is made for drinking, not thinking. It’s all about enjoying a good, clean beer.” 4.5% ABV, 17 IBUs. Malts: German Pilsner, North American Pale. Hops: Hallertau Tradition, Spalter Select, Saphir. Into the glass, FW Lager is crystal clear pale straw in color with soapy white foam that peters out rather quickly. You’re immediately met with a beautiful aroma of frosted lemon pound cake and orange blossom honey. Digging in, flavors center on white bread and cereal grains with balancing saltwater. Touches of soap around the edges differentiate this from perfect German lagers and relate it back to American macro lager. But FW Lager still shines in the mouthfeel department with a super light body, lively carbonation, and touches of sourdough acidity in the back end, all which give this a clean, crisp, refreshing quality. Bitterness here is really what sets it apart from its pilsner brethren as you have muted noble hops in the background only, which allow bready malt to dominate the experience. In the end, I would place bitterness at a 2 out of 10 while sweetness is at a 4 out of 10. My overall thoughts on the beer: I love it. I’ve been crushing the 6-pack and will definitely be picking up more as the weather warms up. The base maltiness is perfect while the exquisite mouthfeel makes it ultra drinkable. It’s also brighter and lighter-bodied than what I normally think of with German Helles Lager. I do have a concern about the pricing. At $10 ($11 with tax and CRV) for a 6-pack, the competition out there is just brutal for excellent beer. I fear that enthusiasts will pass on it for more robust flavors while casual Bud drinkers will pick up a macro at half price ($20 for 24-pack). It’s comparing apples to oranges, though, as FW Lager is a flawlessly executed beer that anyone could appreciate. I’m just not sure who the target audience is. It doesn’t seem to be marketed as much to casual buyers as their 805 blonde ale. And while I’m all about more pale lagers coming out by craft breweries, there is a bit of conundrum as we move from pilsners (still robust and bitter) down to Helles and more nuanced pale lagers. These really start to blend in with macro beers to a point where some consumers may be puzzled. If I’m paying a premium for this beer, why does it taste the same as the cheap stuff? I don’t think they taste the same, but a casual buyer may fail to see a significant difference. For this reason, we haven’t seen these types of craft beers in the marketplace. 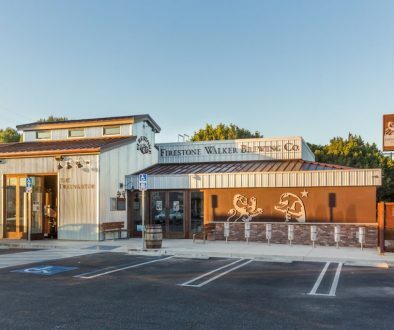 Now that Firestone Walker and many others are jumping on the bandwagon, maybe they will finally take off. Danny has already written an editorial piece on this topic. 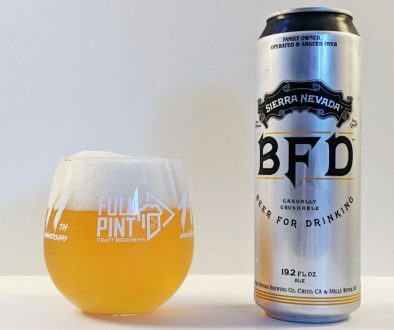 Still, I am all about the mantra of this beer, “Don’t overthink it,” which matches up with Sierra Nevada’s new release, Beer For Drinking (BFD), a 4.8% blonde ale that I need to get my hands on. It’s great to have amazing, simple beers in circulation that can appeal to all palates. In many ways, these are craft beer’s answer to macro breweries coloring them as too fancy and only for snobs. 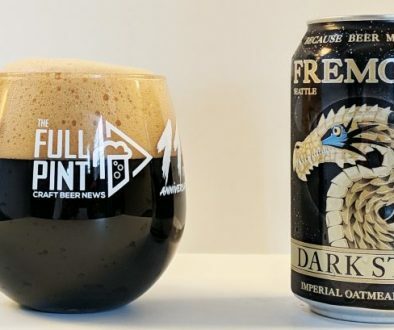 There’s a huge amount of information about this beer on the Firestone Walker website including four different videos on the beer. Check them out here.